The tents have long come down from Eko Atlantic, and the myriad of feeds documenting the highs and lows both on the catwalk and off it have long been replenished with new material, but the story so far of LFDW and the impact it is having on global conversations around the power and opportunities in the fashion industry in Africa’s 55 countries continues to resonate.This year’s outing was perhaps the most dynamic yet, with an enhanced programme that showcased, supported and celebrated the full value-chain of the fashion industry. A plethora of participants from the worlds of design, retail, garment production, academia, finance and government illustrated the African truism that it is not only a case of it taking a village to raise a child, but also wide range of actors to raise an industry. As with all art, and fashion is one, standards were only as high as the reflection, development and critically, execution of ideas developed. If there is one thing LFDW 2017 will be known for, at least in the instance of the shows on the runway was it was the year we all ‘got back to our roots’. Many collections featured the use of traditional fabrics from Africa: with Adire and Aso-oke being as much an essential part of a designer’s artillery as silk, lightweight wool, or lace. Maki Oh, Tiifany Amber, and Kenneth Ize were some of the designers who chose to reclaim, repurpose and re-fashion traditional fabrics and create pieces that were both contemporary and covetable. Digging deeper into African norms and aesthetics was further evident in the way that different iterations of traditional menswear found their way onto the runway with the likes of Mai Atafo, P.O.C, Ugo Monye and Emmy Kasbit all creating pieces that re-imagined ‘trad’ as it is more affectionately known. Because the 21st Century African man is a cultural and visual omnivore, informed as much by the content he sees on his smart-phone as his village of origin, there was suiting fabric that wouldn’t be out of place in Savile Row, sportswear motifs and silhouettes aplenty and cuts that challenged the sartorially brave. 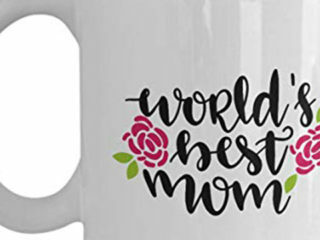 From a visual and intellectual perspective it was an exciting sight that spoke to an active and somewhat collective decision to love and embrace our own norms and pick and choose what we are influenced by rather than be subsumed by it. 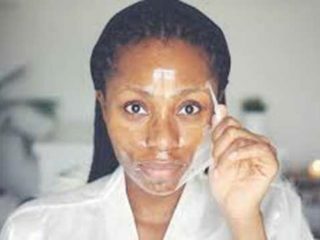 The words of Plato: “To thine own self be true,” has become the diktat of the designers who showed; who were no longer seeking validation via mimicry but were choosing to explore, explain and present what it is to be African today. 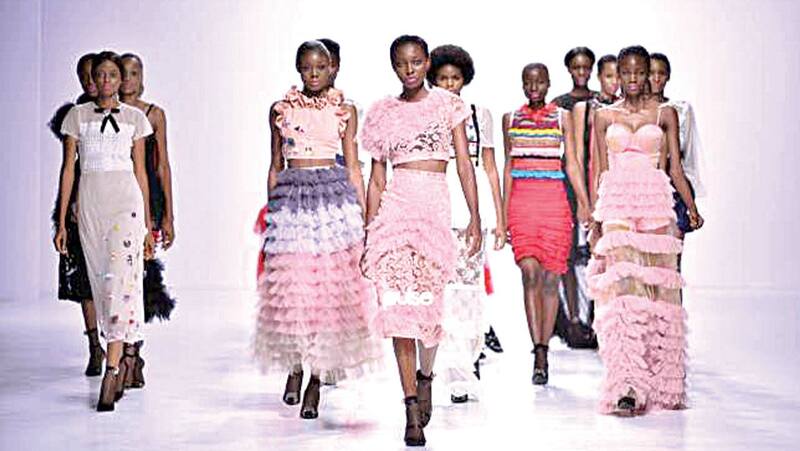 A critique that has been levelled in the past at LFDW has been the Nigerian focus of what is presented: but organisers have chosen, bravely it must be added, to not buckle to positive discrimination or to ‘genetically engineer’ the schedule to be Pan-African. 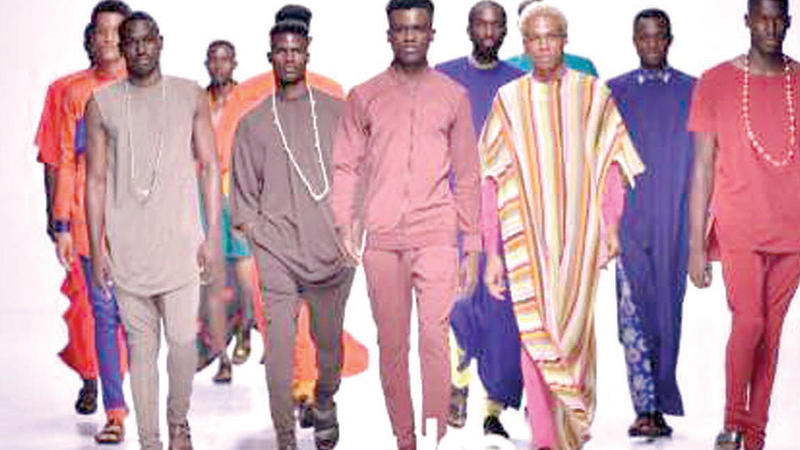 Nigeria remains Africa’s most populous nation, one of its largest economies and arguably a country that has a reputation and pedigree for a deep love of fashion and style being a national characteristic, and so this too translated in the make-up of designers. However, those who hailed from further afield were a riposte to any assumption that fashion began and ended in Lagos. Stand out collections from Christie Brown of Ghana, Loza Maléombho and Elie Kuame of Cote D’Ivoire and finally Maxhosa by Laduma and Gert-Johan Coetzee of South Africa were illustrative of the breadth of talent to be found across the continent. Her point regarding owning the narrative and possessing sturdy resolve was further buttressed by Sara Maino, Deputy Editor of Vogue Italia who stated in her own panel that those in the industry must above all things “Have a vision, stay focused and be passionate.” The African fashion businesses of the future require entrepreneurs who are agile, yet driven, forward thinking yet anchored in their truth; it is only then that they can truly capitalise on opportunities both within the region and globally. The importance of regional cooperation was effectively highlighted by the African Development Bank led Fashionomics sessions. Legislation that supported business, cross-border trade agreements that reduced tariffs and an overhaul of transportation and infrastructures remain a challenge, if the full economic potential of the fashion industry is to be realised. One visible exemplum of how a cohesive approach can create real value was the successful launch of the Designers Consociate Designer Shirt Project spearheaded by Designers Consociate, an interdisciplinary consultancy and advisory firm that adds value across the fashion supply chain, the Human Capital Development Centre (HCDC) and the Nigerian Export Promotion Centre (NEPC). Designers Consociate engaged six leading lights in the design field and asked them to design a shirt that was made in local Nigerian factories. 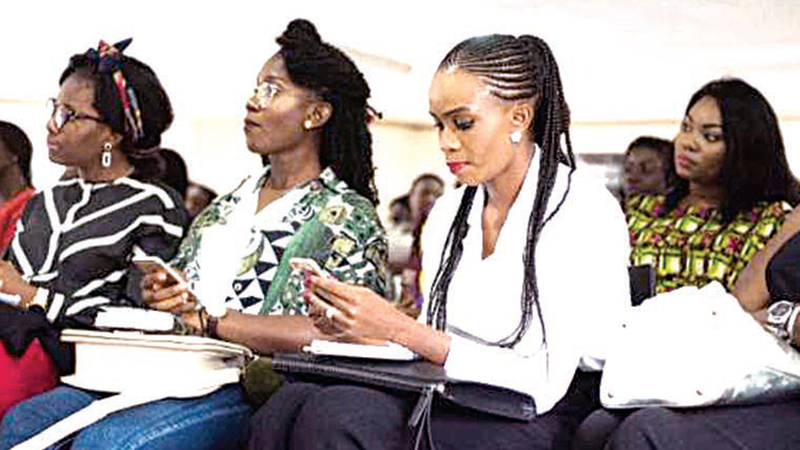 The participants were Andrea Iyamah, Bridget Awosika, Grey, Lisa Folawiyo, Loza Maléombho and Vathiswa By Keji and the shirts unsurprisingly were a sell-out and one of the week’s big talking points and must-have purchases. Most pertinent of all the initiative illustrated how important it is that all segments of the fashion value chain are supported, that design and garment production is encouraged, especially in Africa where the majority of apparel comes from overseas, and Asia in particular. Other retail successes in the Creator’s Lounge included cult accessories brands Zashadu and Didi Isah and Uber-Stylist Yummie Ogbebor ‘s Styled By Yummie whose vintage edit has become a go-to for many a fashionista. When LFDW first launched in 2010 few would have imagined to what extent it would grow or the impact it would make on the industry as a whole. However, with nearly a decade since inception, its role as an incubator or talent, an advocate for the industry and ambassador of excellence is undeniable. 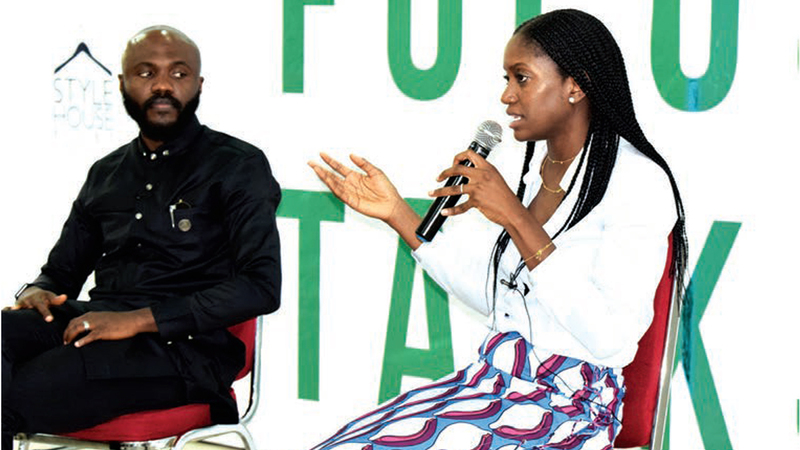 Speaking to Chekwas Okafor, founder of luxury online retailer Onychek.com, its role as marketplace catalyst was clear: I made sure to attend LFDW, so I could immerse myself in the Nigerian fashion scene. I believed that being in that environment would create serendipity and enable me to build relationships with industry players. Furthermore he was bullish about the prospect of African design’s positioning both locally and globally adding: “I believe that people will increasingly prefer local fashion brand over western brands. 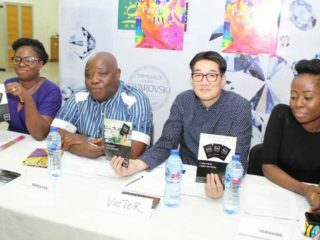 With platforms like LFDW and Fashion Focus, we should expect more homegrown designers to share their creativity with the world…. Creating the future of African fashion industry is intentional and active. “It is an optimism shared by Sissi Johnson who believes that with “Lagos Fashion & Design Week [we can achieve] our common goal to rebrand the continent by Africans, for Africans.” An audacious aim to be sure, but one that is achievable, especially in light of increasing actors who have chosen to collaborate and work alongside LFDW founder Omoyemi Akerele and her team. To review the past without an eye to the future is a futile task, especially in as fast-paced an industry as fashion. The story so far indicates there are many trajectories: from Aggrey-Orleans who asserts that “The future of fashion is slow fashion [and] having a few key pieces that you can mix and match and keep for a long time rather than buying trendy cheaper quality pieces that contribute to the wastage on the landfields.” To Oke-Lawal who is anticipating “the future of fashion in Africa is having proper structure and being listed on the international calendar as one of the fashion weeks to head to” or Johnson’s insistence that “The global fashion market is oversaturated. Designing a beautiful line is not enough to sustain a brand on the market and technical and business training as well as authentic storytelling are key factors to being competitive”. However, what is certain is much headway has been made by LFDW. In developing and creating measurable benefits and impact, it has illustrated definitively the full scope and potential of the fashion industry in Africa.